For a young man, Nick Feijoo (Fay-ho) has an impressive resume packed with remarkable achievements. He began taking piano lessons at age ten, and it became a passion. At the age of 15, Nick was already being hired as a professional to play jazz. While in high school, he began informally teaching his peers, and was teaching formally when he was 17. Nick's musical expertise includes classical; however, his jazz skills led to competitions with the big band Coral Gables Congressional, led by Daniel Strange, head of the piano department at UM. The band took second place internationally when Nick played piano. The next year the band took first place with some players that Nick had mentored the previous year. "I love jazz," Nick said. "And gospel. The piano always comes through the gospel, and the gospel comes through in popular music and jazz." Nick, now 20, said he likes to teach jazz improvisation through the blues because it includes phrasing, harmony and chord scale theories. 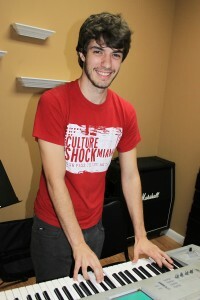 "I ask my students to bring in their favorite songs and that's usually whatever tune is hot at the moment," said Nick. "That's the best way to teach and the best way for someone to learn." People get into music for a variety of reasons, but Angel Marlowe's story is difficult to top. "When I was 13, my friends dared me to learn Eruption by Van Halen," Angel said. "I didn't know how to play a guitar, but I did it. It took me a year. At first I hated playing, but then I began to like it." 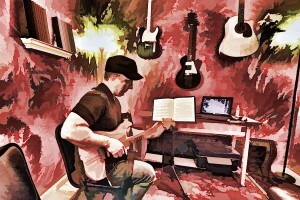 Angel later began taking lessons from Vincent Bredice, who was teaching at Miami-Dade at the time, and was the author of The Complete Book of Guitar Improvisation. Angel then enrolled at the college and studied music. Along the way he was in a "bunch of little bands." As most musicians do, Angel worked in a music store, gave lessons, and eventually became manager, a post he held for 15 years. As his skills evolved, he began repairing guitars and can now fix anything with frets. "I learned repairs little by little," he said. Angel has been teaching guitar since the age of 16, and the longtime veteran guitarist is currently forming a cover band. 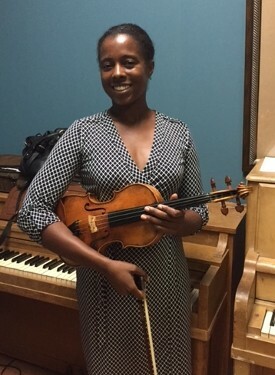 Marcia Anderson began playing violin at the age of 6 when a Suzuki violin program was brought to her elementary school in Cincinnati, OH. She was immediately hooked. At the age of 14 she created her first quartet, "Go For Baroque" which played concerts all over Ohio. She then went on tour in Asia with the Cincinnati Junior Strings Orchestra, where she was selected as second chair master. As Concert Master, she toured North America with her high school orchestra. Later, she joined the Cincinnati Youth Symphony Orchestra which had the pleasure of playing with the Cincinnati Symphony. Marcia is trained in Classical music, but loves all genres. In grad school, she began playing jazz and began performing jazz gigs. She loves teaching violin to all levels and wants her students to gain as great of an appreciation and love for the instrument as she does. Learning to play the drums was a great experience for Greg. His older brother was an accomplished sax player and percussionist who got Greg involved in music at an early age. At 13, Greg and some friends formed a band that played at small parties. With years of practice and hard work they performed at the Miami Pop Festival and were selected for a TV special. 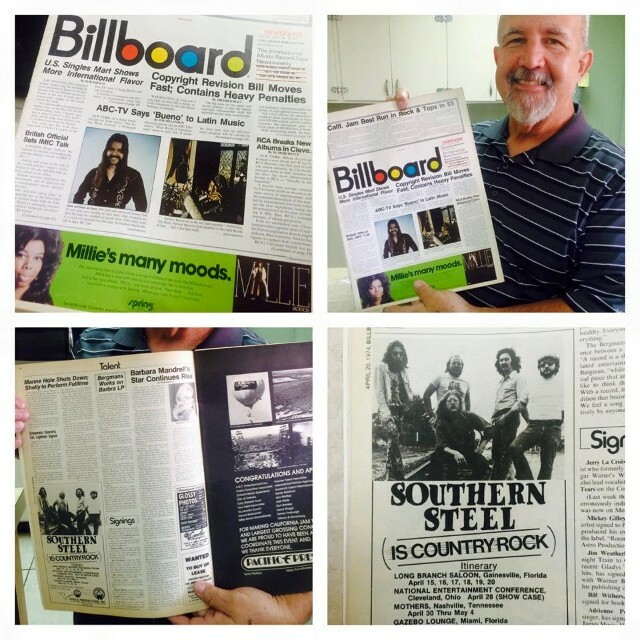 Greg's band, Southern Steel, recorded an album at the legendary Criteria Studios and went on tour. They began sharing the main stage with such great artists as the original Allman Brothers, Ted Nugent, Eric burden and the Animals, Blues Image and Lily Tomlin. Greg says that those were fun years, but that nothing can be more fulfilling than sharing the gift of music to the next generation. He says that today's kids are amazing! He wants to make drumming a fun experience. Kahra is a top of the line voice teacher bringing to Ray's Guitar Shop years of experience in vocal training, performance techniques, & even songwriting skills. 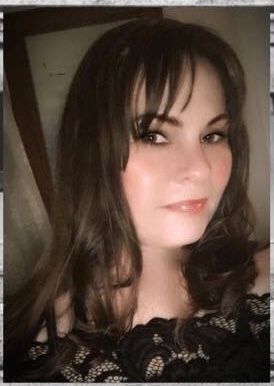 Kahra has studied with many voice teachers since the age of 15 and has come up with her "Best Of" method working with each student on their diverse abilities & goals. Kahra can instruct in any genre of music, especially Pop, Rock, Jazz, & Broadway/Opera. Kahra teaches a technique that allows the student to just relax and concentrate on performing, which is what singing is really about! Kahra can sing from bass to soprano, so she works with both males and females of all ages. She also has experience performing with bands, small groups, and currently works for MiamiSuperhero as a multitude of characters & Disney Princesses. Kahra has sang for Simon Cowell on the X-Factor Stage in front of 4,000, sang the National Anthem at Professional Sports Games, sang backup for Bob Marley's Mom and much more as her own career continues to blossom.